has been inspired to Celebrate the Life of yet another woman leader, one that has devoted her career and life to the betterment of others. Working her magic through a career with The United Nations, this powerhouse has promoted the gender equality and women’s empowerment agenda in various capacities in the context of peace and security, human rights and sustainable development and has pursued studies in history, public policy and administration, international relations and law, and economic development. We celebrate this woman here today, as well as her new role as a Leader among Women Leaders! Following the announcement of her departure by Michelle Bachelet, founding Executive Director of UN Women, the UN Secretary-General has designated Lakshmi Puri, Assistant Secretary-General and UN Women Deputy Executive Director, as the Acting Head of the organization, until further notice. 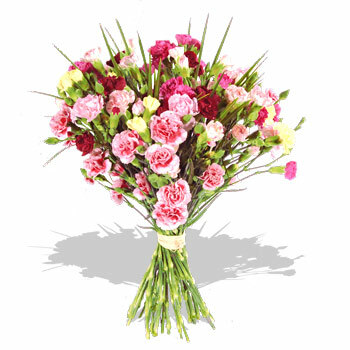 Ms. Puri took on her new role as of 26 March 2013. She is currently Acting Head of UN Women. Puri has more than 37 years’ experience in economic and development policy-making as well as in political, peace and security, humanitarian and human rights–related diplomacy. More than twenty years of these have been in relation to the United Nations system. She has promoted the gender equality and women’s empowerment agenda throughout her career. implementation of UN system-wide accountability and coherence systems for gender equality and women’s empowerment. Throughout her career, Ms. Puri has promoted the gender equality and women’s empowerment agenda in various capacities in the context of peace and security, human rights and sustainable development. She has extensive experience in economic and development policy-making covering trade, investment, migration and labour mobility, financial flows, environment and climate change, energy, agriculture and food security, universal access to essential services, intellectual property rights, and traditional knowledge, among other issues. She has considerable experience and professional background in all the thematic and functional areas of UN Women. She has been actively involved in pioneering efforts to analyse and advocate positive linkages between economic development and gender equality. She has worked on ensuring inclusion of a gender perspective in trade investment, migration and labour mobility, financial flows, environment and climate change, energy, agriculture and food security, and access to essential services, among other issues. Puri has contributed to policy-related research in think tanks, academic institutions and in the context of development banks. Puri held the rank of Permanent Secretary of the Government of India, was Ambassador of India to Hungary and accredited to Bosnia and Herzegovina. In that capacity she worked closely with the Peacekeeping Mission there through coordination with the Special Representative of the Secretary-General and the Indian peacekeeping contingent. During her diplomatic postings in Geneva, including as Deputy Permanent Representative of India, she developed an expertise in human rights and humanitarian affairs and played an active role in the Commission on Human Rights and its subsidiary bodies. Puri joined the United Nations as Director of UNCTAD’s largest division and led the work of the organization in making trade work for development in all its dimensions and, in particular, for the achievement of the Millennium Development Goals. 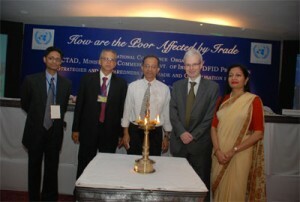 She was acting Deputy Secretary General of UNCTAD from 2007 to 2009. She was appointed Director in the Office of the High Representative for the Least Developed Countries, Landlocked Developing Countries and Small Islands Developing States in December 2009, and she actively directed the preparations for the United Nations LDC IV conference in Istanbul in 2011. 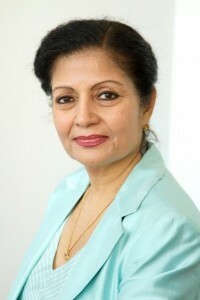 Prior to joining UN Women, Ms. Puri was the Director of the UN Office of the High Representative for the Least Developed Countries, Landlocked Developing Countries and Small Island Developing States, where she coordinated the preparations for the fourth UN Conference on the Least Developed Countries which resulted in major outcomes, including the Istanbul Programme of Action and Political Declaration. Ms. Puri joined the United Nations in 2002 as Director of the largest division at the United Nations Conference on Trade and Development (UNCTAD), the Division of International Trade in Goods, Services and Commodities. From 2007 to 2009, she served as UNCTAD’s Acting Deputy Secretary-General, providing strategic direction and oversight to the organization. She made an imprint on two major UNCTAD conferences in Brazil in 2004 and in Ghana in 2008. At UNCTAD, Ms. Puri also ensured that gender considerations were effectively mainstreamed in the trade and development agenda. Ms. Puri joined the United Nations after a distinguished 28-year career with the Indian Foreign Service, where she held the rank of Permanent Secretary of the Government of India. As Ambassador of India to Hungary, concurrently accredited to Bosnia and Herzegovina, she worked closely with the UN Special Representative of the Secretary-General in Bosnia and Herzegovina and the Indian peacekeeping contingent, the largest in the Balkans. She also played an important role as a member of the Indian diplomatic team in brokering the Indo-Sri Lankan peace agreement in 1987 to end the country’s ethnic conflict and was involved in several aspects of the Indian peacekeeping operations and peace-building efforts that followed. Ms. Puri’s work with the UN dates back to 1981, when she was a delegate to the Commission on Human Rights where she was involved in the negotiation of some key human rights conventions, notably during her postings in Geneva including as Deputy Permanent Representative. She dealt with a range of UN specialized agencies, as well as the World Trade Organization (GATT/WTO). She has a Bachelor of Arts (honours) from Delhi University and a postgraduate degree from Punjab University, as well as professional diplomas. She studied history, public policy and administration, international relations and law, and economic development. Ms. Puri has contributed to policy-related research at think tanks and academic institutions and has been on the board of public policy institutions and companies. She further notes: This year the world’s population reaches 7 billion, with much of that population growth happening in low- and middle-income countries. How has such rapid growth in those countries affected gender equality? “Gender inequalities are both a cause and an effect of population growth. For instance, high fertility rates often lead to larger families, reduced opportunities for women to join the labor force, and shorter birth intervals, which can have devastating effects on both maternal and child health. Interlinked and very important to point out is that gender inequality fuels population growth. Where women are denied full legal, social and economic rights, such as education, secure livelihoods, property ownership and credit, they are forced to rely on childbearing for survival, status and security. Ms. Puri is married and has two daughters. is elated and honored to welcome this Woman Leader into our Alumni, as this tribute celebrates her life and work. We look forward to celebrating all future positive change this determined and faith filled woman has to contribute to our world.